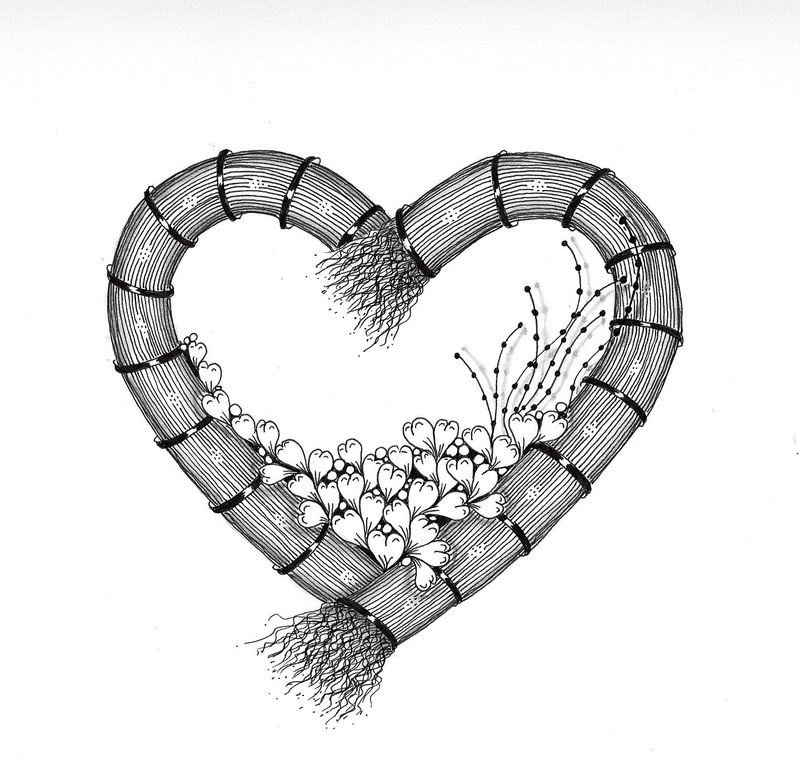 Join me for a day-long Zentangle® Workshop Retreat on January 14! Or, come for any class during the day – whatever works with your schedule. If you sign up for at least two of the offered classes, a complimentary salad bar lunch is included. The classes are priced individually, and you get a $5 discount off each class after the first one. Call me at (707) 546-4550 if you have any questions, or if you want to reserve your spot in one or all of these workshops. 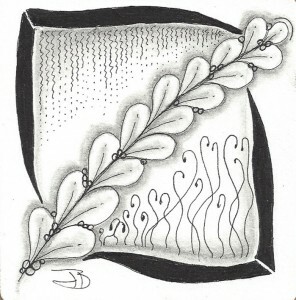 We will begin with Zentangle® Basics. 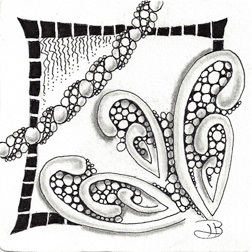 This is the first in a series of workshops focusing on the easy, fun, meditative art form known as Zentangle®. 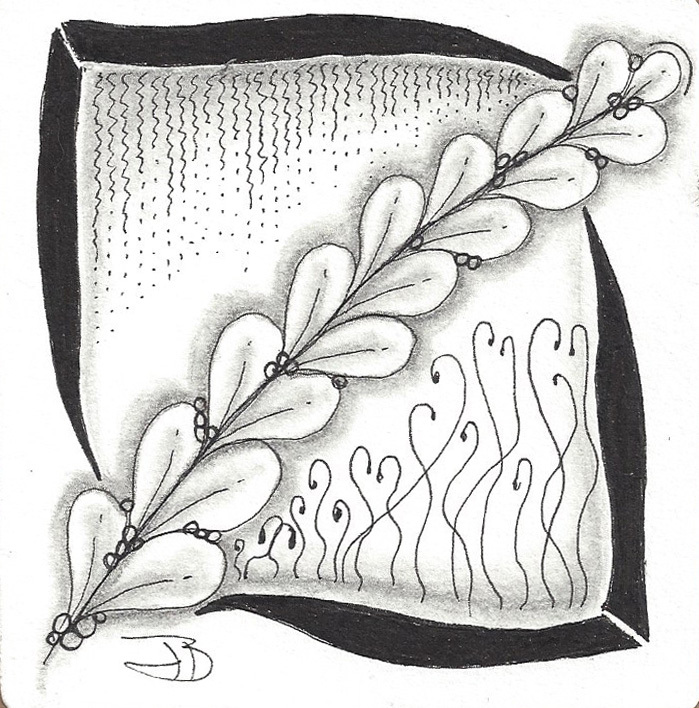 In this workshop, we will learn what Zentangle® is and how to use it to create small, beautiful works of art using an archival felt tipped pen and very fine, high quality papers. You will learn at least six structured patterns (called “tangles”), which will used to create small pieces of art. The workshop is about 2 hours long and is held in Santa Rosa. NEW IN 2016: The class now includes examples of tiles you can complete with the tangles you learned in class, so you will leave with a series of samples ready for you to work with. The cost is $43.00, and it includes a mini Zentangle kit, which is yours to keep. In this class, we focus on learning about 12 new tangles, and I introduce a method for keeping track of your growing tangle library. I also show you an approach to completing a tile that takes all the guesswork out of it, thus giving you more Zen for your tangling. The cost is $40.00, and it includes everything you need to complete the class tiles, although you will need to bring your mini-pentangle kit from the Basics class. In this class, we will move beyond the tile to work on a larger piece. The image show to the right is a work in progress. Come see how this one turns out, and complete your own!